The US Census Bureau is the official US census organization conducting population census every 10 years, censuses of economic activity, and of state and local governments, as well as more than 100 other surveys to collect general statistical information in order to compile statistics. Its online data service offers access to almost all this huge quantity of demographic, economic, governmental and social statistics. Direct access to Census data sets is possible as well as to many other databases and data archives, comprising US statistical data, codebooks, explanations sheets and row data. The site also provides the downloading of the softwares, which are useful to manipulate and elaborate census data. Data are available in several different formats and can be searched with advanced options and different criteria. In each section of the website refined search features are available. Collected data are made available by the Census Bureau at no charge. Access to US Census Bureau Data is in fact completely free for all users. Non-online records can be purchased. Links to external pertinent websources and data are available. 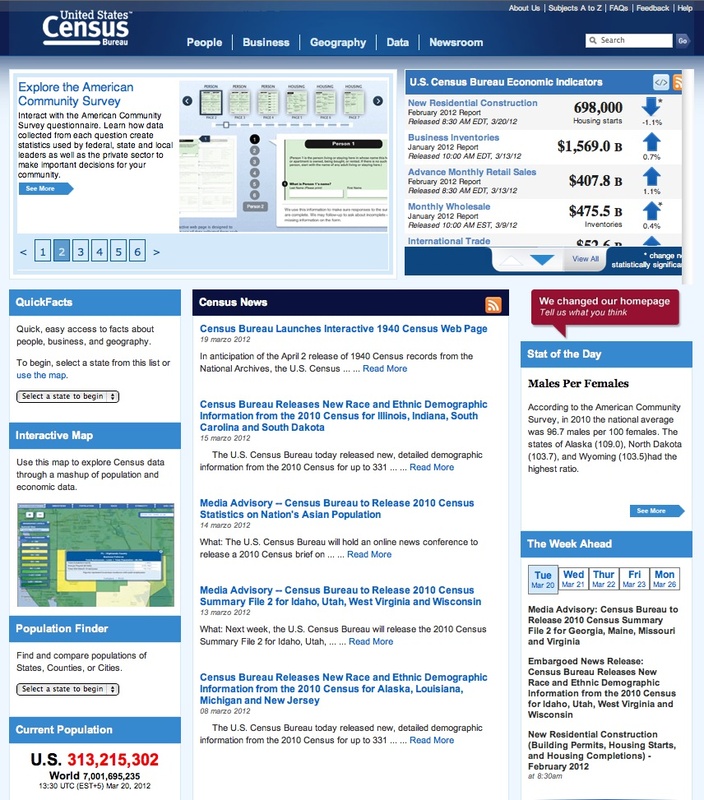 The US Census Bureau website is extremely rich in info and data so that the highly-refined help tools are very useful to allow users to locate and retrieve the desired information.